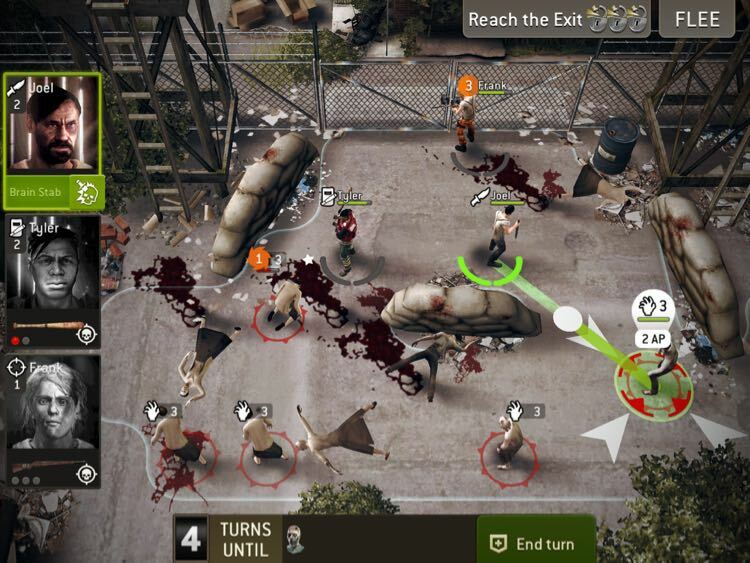 Here you will find numerous tips and tricks for the game The Walking Dead: No Man’s Land for Android and iOS. Furthermore, we address the issue of cheats and hacks, since there is often this question we would like to answer here. The Walking Dead: No Man’s Land is the second game in The Walking Dead universe for Android, iPhone and iPad in a short time. Already a few weeks ago The Walking Dead: Road to Survival was released. Both games have a RPG character, coupled with the construction of the city and tactical battles. 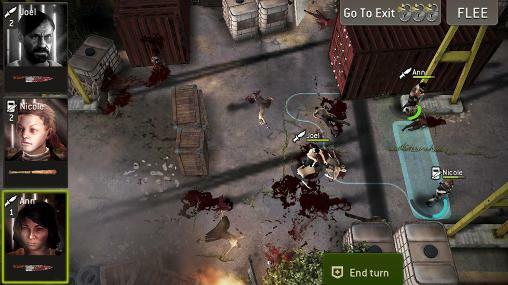 Nevertheless, The Walking Dead: No Man’s Land plays completely differently, which is why we have prepared numerous tips and tricks here, to progress more quickly in the app. First, we’ve got plenty of The Walking Dead: No Man’s Land tips for you, so that you progress faster in the game. We also have a short guide for beginners, so you better understand the game principle of the app. In the next chapter we are going to the cheats. At the end you’ll find the download link for Android and iOS. At the start of our tips and tricks article about The Walking Dead: No Man’s Land we want to familiarize yourself with the basics, so you get a better entry into the game. First of all, there’s your camp, which must be expanded steadily. Principal among these is the Council (caravans), because to be with every upgrade, new or existing buildings are unlocked and can be upgraded to a higher level. Also important is the training center, because here you can against the currency of experience points your characters can be improved, so that they get more defense and more attack points. Hint: Definitely also upgrade the mission car, because then more energy available to you and you can do more missions. Before going into the attack in The Walking Dead: No Man’s Land, you need to select a certain number of characters. As a rule, you can take three persons. Note here is that they may not be located either in the development or at the doctor. Then you can’t use them, and must either use a different or wait. The Walking Dead: No Man’s Land offers three different classes: Bruisers, Shooters and Hunters. The special feature of the hunters is that these can kill multiple walkers with one shot when they are on the trajectory, while bruisers and shooters can always attack only one opponent. But they have a chance, that the opponent is stunned and so can not attack. Another tip that we ourselves do not even noticed, is the following: You can equip your characters based on their type, with different weapons and equipment. So they can do more damage and can take more hit points. In connection with the upgrades of your characters you can beat even the most difficult missions in The Walking Dead: No Man’s Land. As a maximum you can take care of six survivors in The Walking Dead: No Man’s Land. At the beginning you are going to issue a lot more emergency calls to identify survivors. Then you need to either buy additional slots, the first costs 100 gold, or you lean from survivors. Our tip: If a survivor only has one star, you can reject this with a clear conscience. In return you get experience points. A one star character have not only has bad attack power and little life points, these are not worth to level up. Choose better 2 and 3 star characters that you will improve steadily. The most important part in The Walking Dead: No Man’s Land is undoubtedly the attack, because only when you successfully complete the missions, the next is unlocked. Therefore, we do not want you to withhold our advice to attacks. If obstacles are ahead of you, then go with your character for a first look (ie only 1 AP is used instead of both). If you are using only one AP, then the person stands guard and can generate damage to the walker when it is within range. If you have a hunter, then try to hit as many walkers as possible. Hold your characters together, so that they can protect each other. The walkers have a number and an icon over this. You can also tap this, to let you display more information this. The higher the number, the stronger the enemies. You need either stronger units or need multiple characters / strokes to kill this. Incidentally, you do not kill all the walkers, but you can also sneak past those, if you are not want to get involved in a fight. If you plan your turn and are holding on a field, you see whether the enemy will pay attention to you when the appropriate icon appears above. If this is not the case, the walker is not running at you. Note: If your characters do not yet have AP, you have to tap on the button “End Turn”, so that you can continue. In the screenshot a classic attack is shown. The right strategy partially decides between victory or defeat. 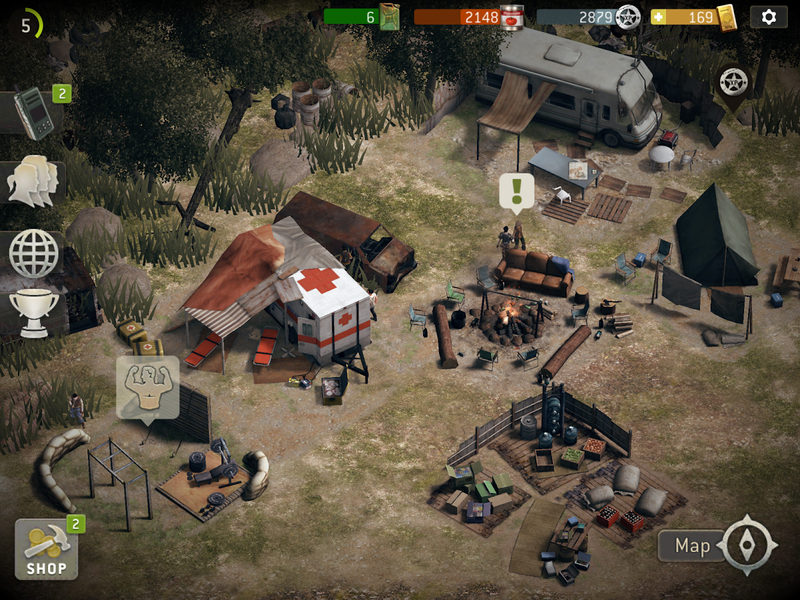 In The Walking Dead: No Man’s Land, you can also arranged by a variety of methods, the Premium monetary gold. Firstly, there are after each mission to uncover up to three cards. Here also gold may be located underneath. However, a far more lucrative option are the achievements. You can find them when you type on the camp and here on the left side of the cup (the third icon). If you’ve mastered an achievement, this will be displayed to you. Now you can get your reward in the form of gold. Do you know more tricks in this role-playing game, to move progress more quickly? Then post your The Walking Dead: No Man’s Land tips and tricks simply in the comments. We will then steadily expand this article. Are there cheat codes in The Walking Dead: No Man’s Land? Let us now briefly talk about The Walking Dead: No Man’s Land cheats. We are often asked whether there are cheat codes for the app. This does not exist, unfortunately, because The Walking Dead: No Man’s Land is a Free2Play game, so you have to use real money to buy the Premium monetary gold. From time to time available on the Internet, are so-called hacks, with which one you should get unlimited gold. These are not only illegal, but often hide viruses and Trojans that can do much damage to your phone or tablet. For this reason we do not recommend the use of so-called The Walking Dead: No Man’s Land hacks or cheats. 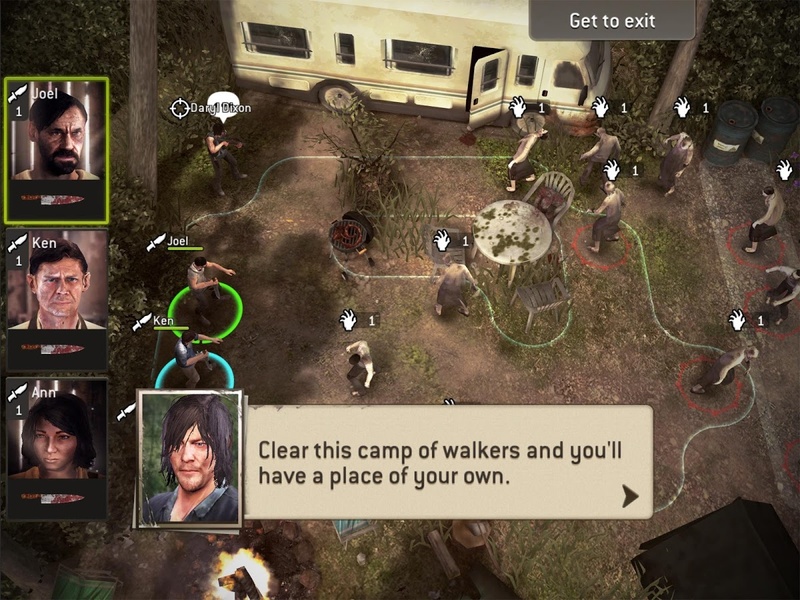 The Walking Dead: No Man’s Land is a role-playing game for Smartphones and Tablets. In this you have to expand your base and among other things, fulfill various missions. Here you are trying to survive and need to kill numerous undead. On your way you can add more characters to your team. As space is limited, you must also throw out characters. The Walking Dead: No Man’s Land is conceived as Free2Play game and for iPhone / iPad available. For Android, we have not discovered the app. Currently, The Walking Dead: No Man’s Land, unfortunately, is not yet available for Android. When the time comes, we can not say whether there will be the app in the Google Play Store or not. Be the first to comment on "The Walking Dead No Man’s Land tips, tricks and cheats for Android and iOS"